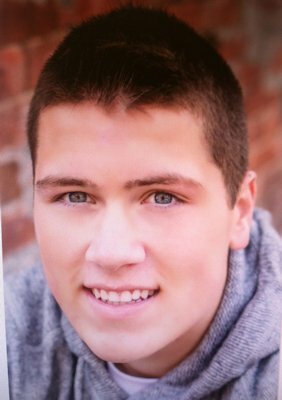 Meet West Central Senior: Joby Arnold, born in Burlington, IA and has lived in Gladstone since he was nine months old. Joby's parents are Steve and Jodi Arnold of Gladstone. Steve is West Central High School English Teacher and Football & Track Coach, and Jodi is a litigation paralegal at Crowley, Bunger, Schroeder & Prill Law Firm in Burlington, Iowa. Joby's grandparents are Randy & Haz Ross of Burlington, IA and Jim & Cora Arnold of Mt. Pleasant, IA. Joby has one sibling, brother Luke Arnold (15), who attends West Central High. He really enjoys weight lifting. Joby was the 2013 High School Champion at the Iowa State Powerlifting Meet. He was the top senior pound for pound, and in the 900 pound club as a member of the West Central Weight Lifting Club. Joby also represented the Biggsville American Legion at the 79th annual Boys State this past June (2014). He has worked at Menards in West Burlington, Iowa for the past two years. He is a member of the Oquawka Methodist Church. His future plans includes attending Southeastern Community College and then transfering to Western Illinois University with plans to pursue studies in Exercise Science. Joby's Motto For Life is - "When you want to succeed as bad as you want to breathe, then you will be successful"
His advice to the underclassman is- "Be more concerned with your character than your reputation, because your character is what you really are, while your reputation is what others think you are." Joby is encouraging the guys to follow in his footsteps. "Lift weights, get strong and play football!"